A touch of whimsy adds to the fun of entertaining. 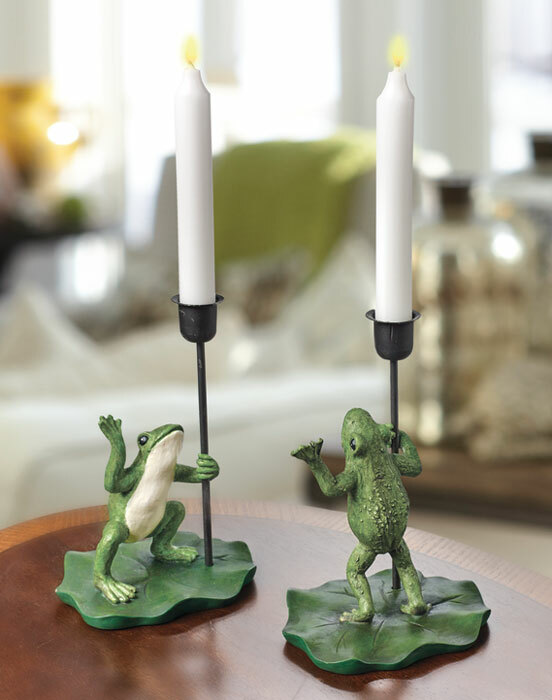 Our friendly frogs are crafted of resin and hand-painted. Add our 7” white tapers for soft candlelight.